You are currently browsing the tag archive for the ‘OpenERP’ tag. 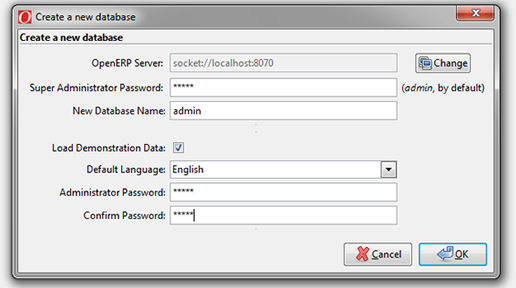 We will start by creating a simple OpenERP module with only one form and one table in PostgreSQL database with no relations at all. Later on we will extend this simple module in more complex module with multiple forms, multiple tables and relations step by step. 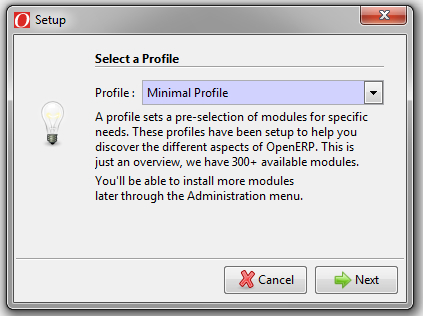 I assume that u have installed OpenERP All-In-One that includes OpenERP Server, OpenERP Web Client, OpenERP GTK Client and PostgreSQL and I assume that its configured and working fine. 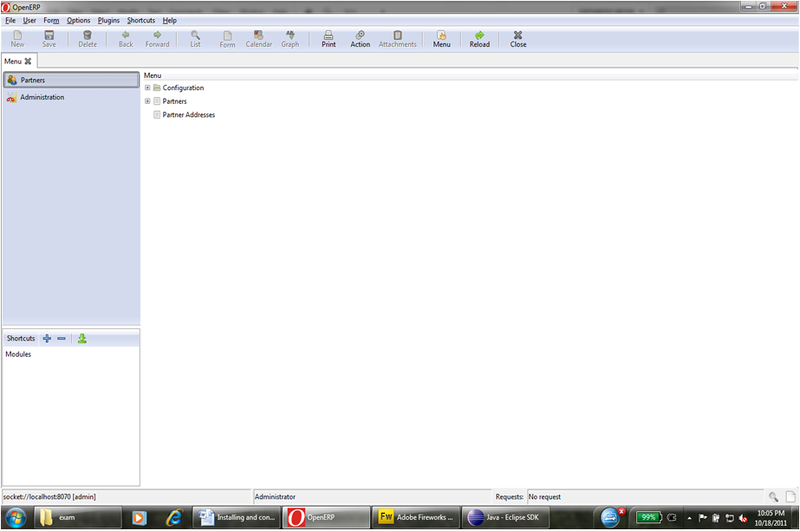 create a new folder in it and name it “sim”, short for Student Information Management. Open the folder. Create the following files in the sim folder. __init__.py (its “double underscore init double underscore.py”). Python file. __terp__py (its “double underscore terp double underscore.py”). Python file. Open __init__.py file and write the following code. Open __terp__.py file and write the following code. Now open sim.py file and write the following code. _description = "This table is for keeping personal data of student"
This code will create a table in the database “student”. The value for _description can be any string of your choice. _column is a dictionary and contains all the column names of the table with their data types. In side the parenthesis is the caption for that field that will appear on the form, its size and “required=True” shows that its a must to enter this field. 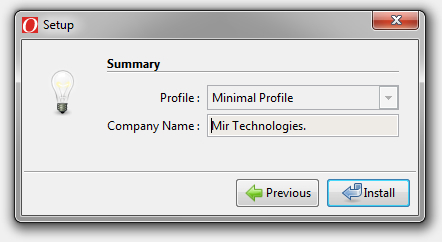 The “field.selection” creates a drop down list control that has two items, Male and Female. The “student()” shows the end of the class. Some precautions. Python is a language that works with indentation. One space extra or less can generate billions of errors and you wont get a proper clue, if you are not using the proper editor. And thats how I have divided the above documents in 4 parts. 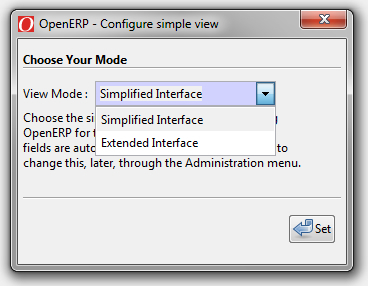 Its not necessary that an OpenERP module must have all the above 4 parts. It can have form,action and menu parts or tree,action and menu or all the four parts. The 1st part will create a form view. It should be kept in mind that the <field name=”model”>sim.student</field>, the sim.student should be exactly the same as the value for the _name=”sim.student”. This refers to the sim_student table for which we are creating this form. 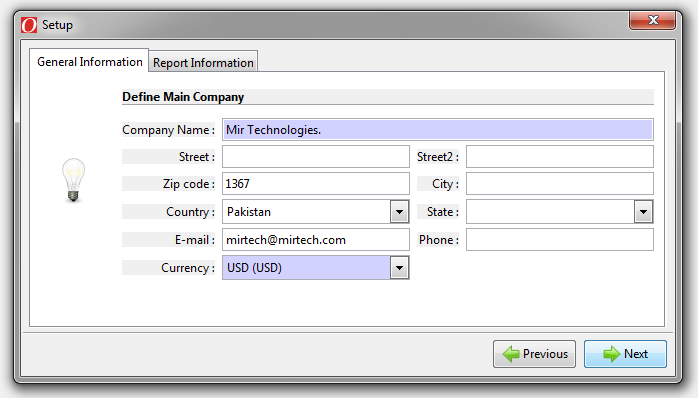 The <field name=”type”>form</field> shows which view type it is, a tree or a form. The next important block is the <field name=”name”/>,<field name=”student_name”/>….. the values for the name here will be the exact column names from our sim.py file. The rest of the things don’t need much explanation for now. The 2nd part contain exactly the same things as the form view with very few differences like the type is tree here instead of form. And the column fields are encapsulated in the . This will create a grid type view displaying all the rows and column that are entered. This grid type view is called tree view. The 3rd part is the action. In res_model give the exact model name or the table name from our sim.py file, I.e “sim.student”. Specify a view_type that is form and view mode that is tree, form. 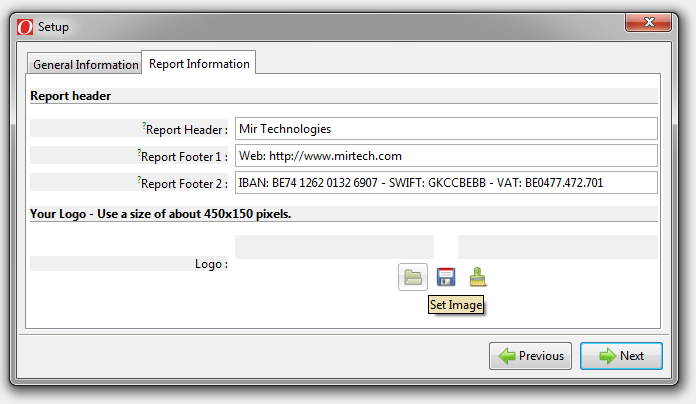 The action defines when a menu is clicked for this action which form will it open. In the menu, id of this action will be used. The 4th part is related to creating the menu. A menu has the following important parts that are name,id,action and in some cases parent. There are two ways for creating a menu. I have used a way that I found more simple. 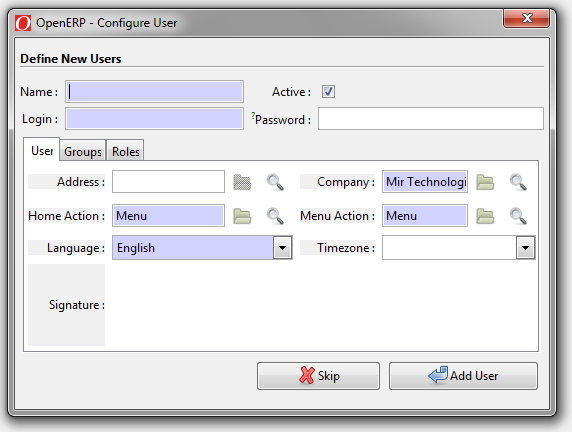 “SIM/Student/StudentInfo”, SIM is the primary menu and appears in the left pane. When SIM is clicked Student menu will appear in the right pane. When student is clicked StudentInfo will appear and when StudentInfo is clicked it will open the form that is defined in the action for this menu. Save the file, exit. 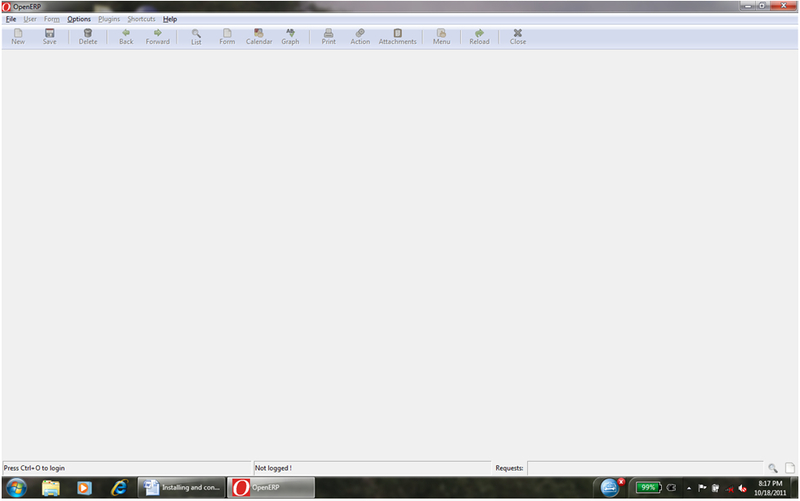 Now run OpenERP client. Install the current developed module and check it in working condition. More complexities to this tutorial will be added soon.